Climbing generates endless debate over which styles are fair and which are less than sporting, over which practices are harmful, and which are "none of your damn business." 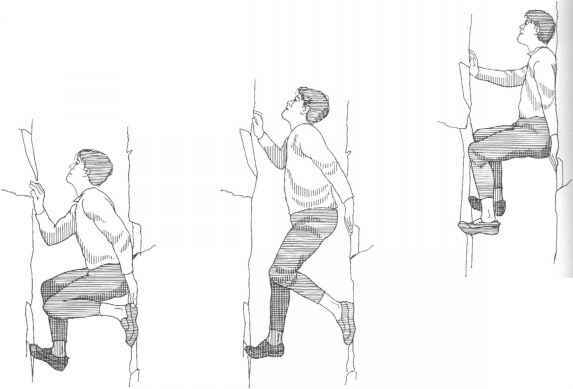 The terms "style" and "ethics" are sometimes used interchangably by climbers, but style usually refers to a person's mode of climbing, which is principally a personal decision. Ethics usually refers to issues where preservation of the rock itself, and thus the experience of other climbers, is at stake. Climbers soon discover that getting to the end of the pitch or the top of the peak isn't the only goal—that it's also getting there in a way that feels right, that respects the rock, and that tests a person's skill and resolve as a climber. These are questions of style and ethics.